What a perfect execution of neutrals! 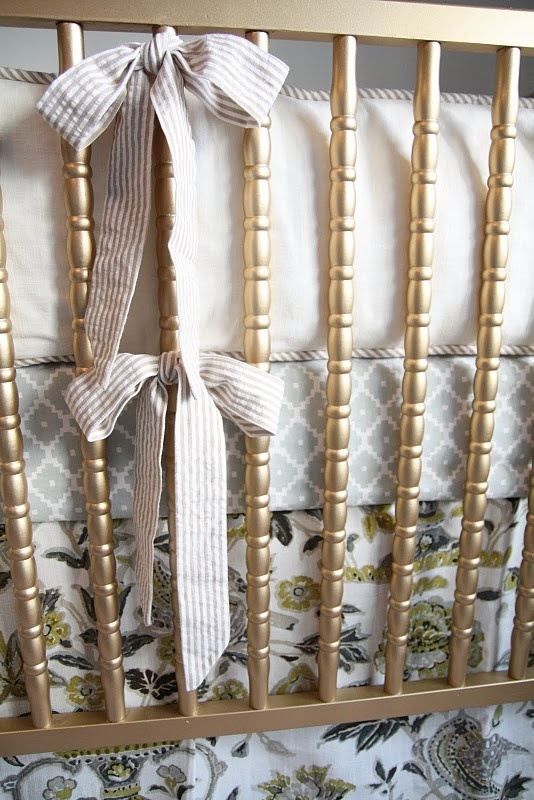 I think what I love most is the mixture of silver/gray and gold - it keeps the crib looking modern but the florals and bows make it sweet and traditional. And that khaki seersucker stripe is simply delicious. I found a Jenny Lind crib for free on someone's curb.... I have always planned to paint it gold.... Just haven't quite gotten around to having a baby! Love this one! 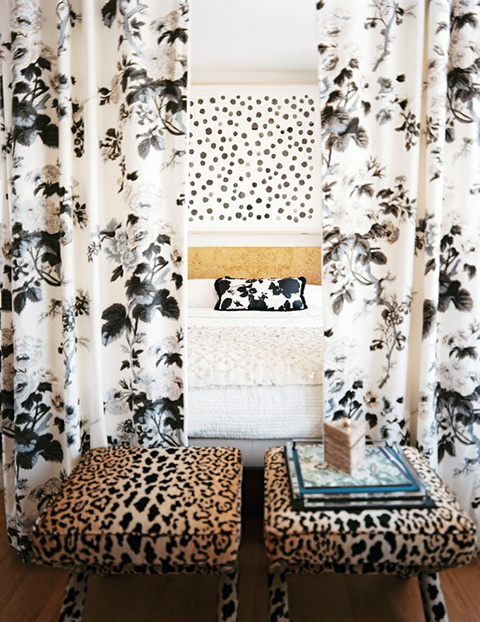 Reminds me of Erika Powell's crib in her daughter's nursery. She also had a crib painted gold for a client. Love them both! Very pretty, but please leave off the bumper pad -- it is a suffocation hazard -- see http://www.consumerreports.org/cro/2012/05/13-dangerous-baby-products-to-avoid/index.htm. They should really not be appearing in magazine and blog photos anymore.